On Saturday night after a gorgeous Pizza Express dinner my sister, mother and I went to go see The Danish Girl. As soon as I heard about this movie I have to say I was intrigued, especially when I found out it was based on the events of a true story. At this moment in time the transgender community seems to have been thrown the spotlight thanks to the likes of Caitlyn Jenner etc so no better a time was there for a movie like this to drop. If you haven't heard of the film and would like to know a little more about it, I'm going to talk about it in a second. If you're interested in the true story aspect, I'll link the wikipedia page here, which details the life of Lili Elbe, well worth a read. Okay, now onto the plot: The film begins with Einar and Gerda Wegener, a happily married couple living in Denmark in the early 1900s. Both Einar and Gerda are artists with the former being dubbed one of the best painters in Denmark. Whilst he focuses on landscapes she paints people which is how Lili was 'born'. One day their friend, who is modelling for Gerda is late so she asks her husband if he would mind putting on her stockings and shoes and holding a dress over his legs so she could carry on her painting. After a little initial reluctancy, Einar agrees. Shortly after, the model friend (whose name I've forgotten) bursts in on them and christens Einar's female alter ego Lili. What starts off as a joke, quickly becomes an obsession with Einar slowly living more and more of his life as Lili. He speaks about how he always knew, how there was always a part of him that knew he was meant to be born female. Soon Lili and Gerda move to Paris and after a series of doctors appointments in which she (Lili) is diagnosed as homosexual, schizophrenic and subjected to radiation treatment to try and 'cure' her, they eventually find a doctor who is pioneering the way towards creating hope for transgenders. He agrees that he will be able to operate on Lili to remove the male genitalia which is all she wants: to be able to live her life as a woman. However the risks are incredibly high as the operation has never been carried out before. Throughout the whole movie there is the idea that Lili must completely say goodbye to Einar if she is to live her life as a woman. Of course for Gerda this is incredibly distressing as she is losing her husband but to her credit she stands by Lili as she transitions. Firstly I'd like to say that the acting in this film was incredible. 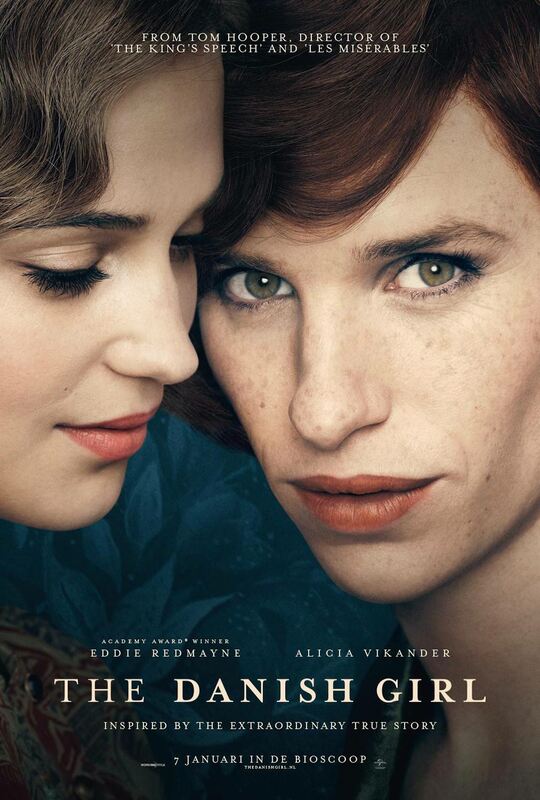 Eddie Redmayne in particular was so amazing that if he doesn't get an Oscar there is something wrong with the world. He really grasped the feminine mannerisms and the confusion Einar was experiencing so well that he had me in tears a fair few times. And Alicia Vikander made a fabulous Gerda, I truly don't think a better cast could have been concocted if they tried. Watching this movie really brought to light how insanely difficult being transgender must have been at that time. Even now, there is still so much prejudice and lack of understanding it astounds me but back in the 1930s it's amazing Lili managed to live the life she did. Personally I absolutely loved this film, I'd give it a 98% for sure. Definitely will be seeing again some time, would highly, highly, recommend.